iXsystems, Inc., based in San Jose, California, is a market leader in providing customized open source storage solutions for businesses. Their systems power everything from top-500 websites to Fortune 500 companies. PeerCorps-CeRD is happy to announce that iXsystems has expressed interest in supporting the Nzega Digital Library Initiative (NDLI). The firm will be contributing FreeNAS Mini network storage systems to store digital books and media. The FreeNAS Mini is the most advanced storage appliance available for a home or office. However, the FreeNAS Mini does more than just store data. It protects files from corruption, ensures its integrity and is capable of delivering multiple streams of HD quality video simultaneously. 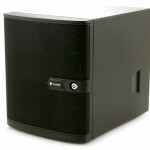 FreeNAS, the system which powers the FreeNAS Mini, is based on the open source operating system FreeBSD and the ZFS file system. Combined, the two result in the most advanced market solution available for reliably storing data. The FreeNAS Mini will serve at the heart of the first digital library implementation in Nzega, Tanzania. To date, the initiative has received more than 15,000 digital books from international donors. These books will be incorporated into the first ever digital library in Nzega, and possibly the first general purpose offline digital library anywhere in Tanzania. The NDLI has generated substantial interest among local students, educators and community stakeholders. The region’s Parliamentary Representative, Hon. Dr. Hamisi Kigwangalla, expressed his enthusiasm and support in a recent stakeholder meeting – “What we have here is something that I think can positively affect the development of this community, we are extremely grateful to iXsystems and to those contributing books to the project”.